Amazing well cared for Lake front home. 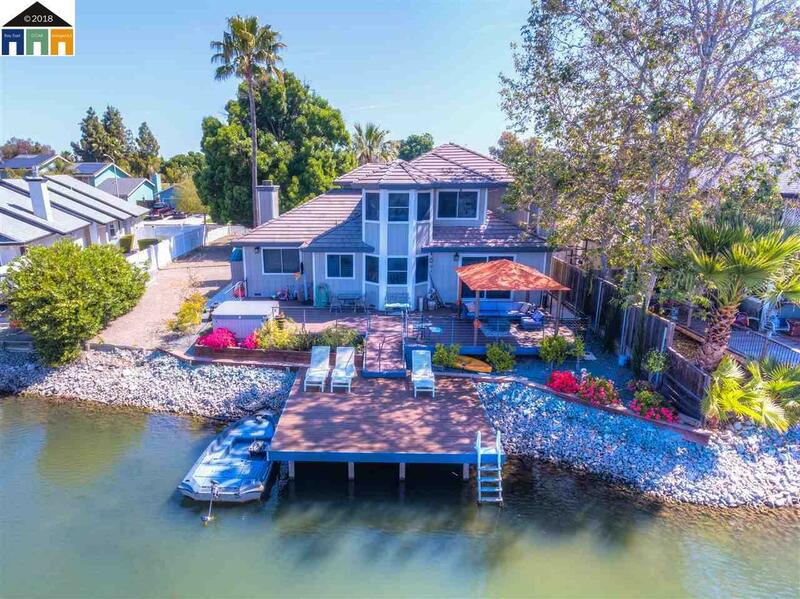 Spend your days relaxing and enjoying views of Mount Diablo and the water from your backyard Oasis. Remodeled from the ground up. New AC/ Furnace in 2005, new water heater 2018, Master bath has granite slab walls and countertops 5x5 shower dual shower heads , oversized freestanding tub, travertine tile. Upstairs bath remodeled 2010. Downstairs bath slate tile in shower and floors. 3 bedrooms have walk in closets. New exterior paint, siding 2015, new exterior concrete , Dock, retaining wall, huge Trex Deck, spa overlooking the lake. Park your pontoon or Bass boat in your backyard. Solar screens on entire exterior of home, surveillance cameras, beautiful landscape, fenced backyard and front yard. Custom handrail in backyard.